The Agencyâ€™s Director General, Prof. Mojisola Adeyeye, gave the warning in an interview with the News Agency of Nigeria (NAN) on Thursday in Abuja. â€œIn Nigeria we have a lot of use of dangerous chemicals. â€œOne is Glutathione used as an injection. People inject it under their skins, with a promise that they will be lighter in a week or two. â€œFrom Glutathione injection to other chemicals, the reason why we are so concerned about Glutathione is because it can cause skin cancer. â€œIt can cause kidney dysfunction and failure and this is what young people donâ€™t know. 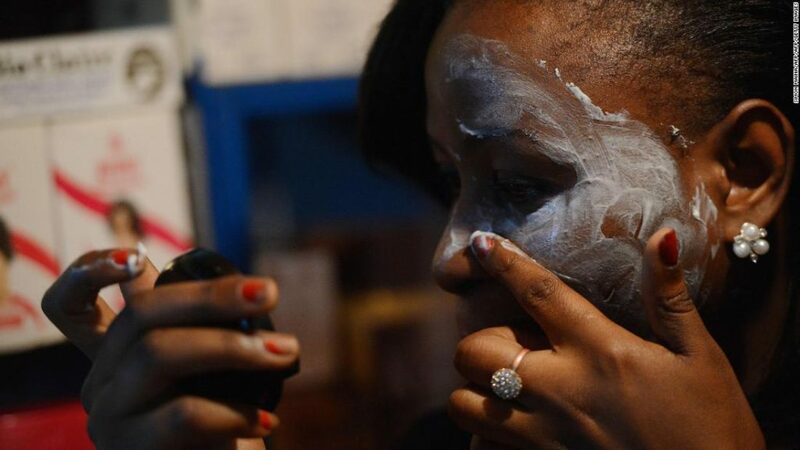 Adeyeye said the agencyâ€™s Investigation and Enforcement Directorate would continue its surveillance to raid stores of illegal and unregistered whitening chemicals. â€œOn drug abuse, you can use a drug rightly but you can use the same drug illicitly; take Codeine for example, Codeine is an anti-toxic, it is an expectorant and that is the medical use. â€œBut, if you then use more than what you should of Codeine, it becomes illicit. â€œSo, NAFDAC has to do its job by looking at it from the illicit point of view now being abused. â€œTake for example, Tramadol; the medical use of Tramadol is at the strength of 50 and 100 milligrams, but those that come into the country are 500 milligrams that can fry anybodyâ€™s brain. â€œWhen they are being shipped in, most times they come with other licit drugs that are not registered. She urged all stakeholders to collaborate with the agency to tighten the countryâ€™s borders to end the smuggling and use of illegal drug.